Swindon Advertiser today ran an article about the Ill Winds blimp flight yesterday. 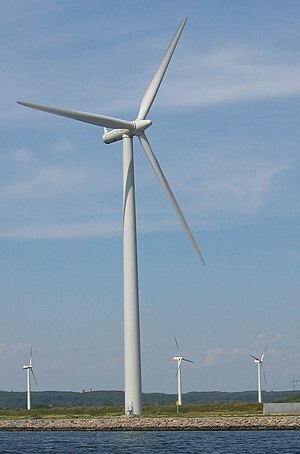 A CAMPAIGN group have gone to new heights in their battle against a plan to build three wind turbines at the Honda plant. South Marston-based campaign group, Ill Wind, received authorisation from the Civil Aviation Authority (CAA) to fly a blimp at 393ft (120m), to represent a turbine blade at its highest point. This is twice as tall as Nelson’s Column in London which stands at 169 ft (52m) high but not as tall at the London Eye which is 442ft high (135m). It follows the news that Swindon Council have received hundreds of letters from local residents in response to the proposals. A spokesman for the council said the volume was unusual but not all letters were complaints. The balloon, which was donated by a local resident, was launched at 11am yesterday and flew for three hours before high winds caused a steering line to snap and it had to be taken down. The group had hoped to fly it from the exact place on the Honda site but were told they could only fly it at the height of the hub and so chose to relocate to Thornhill Road. A viewing platform was also set-up on the South Marston recreation ground, 600m away from the blimp, to represent the distance of the turbines from the nearest houses in Greenfields.